MakMax Australia completed a new shade structure for the Cooktown Bowls Club bowling green designed to withstand cyclonic winds. Considered a first for the industry, MakMax has engineered the new shade structure for cyclonic conditions. With its ability to withstand wind speeds of up to 68.8 metres per second, the shade structure will provide much needed relief for the North Queensland club often plagued by cyclones. MakMax has fabricated the 1600-square-metre structure utilising Chukoh FGT800 PTFE fabric and free spanning columns of 40 metres. 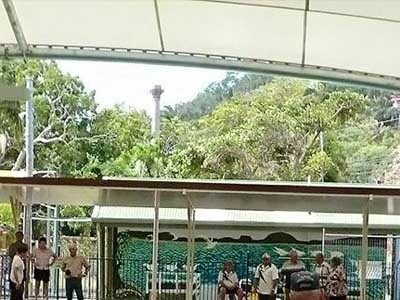 MakMax Australia partnered with the Cooktown Bowls Club for the delivery of the first cyclone proof bowling green shade cover. The shade structure was designed, engineered, fabricated and installed by MakMax’s experienced and certified in-house team.